You are likely to encounter this type of an essay while in school. It is popular because it tests your understanding of particular events. The paper also tests your knowledge of the effects of the phenomenon. Nonetheless, before crafting the paper, find out what it is. It is the first step towards acquiring knowledge on how to write it. The main aim is to explore the factors that make a specific event to happen. After which, it discusses the consequences of the happenings. Mostly, the instructions of this type of paper will require you to focus on the reasons for and results. In some circumstances, a small part of the writing will need you to identify the causes and effects of an event. Still, the instructions of an essay may want you to write only the reasons for a happening. Thus, when writing these types of papers, pay attention to the instructions. The introductory paragraph of block-structured writing contains the thesis statement. The next two or three sections are the causes of the issue discussed. After these sections, write a transiting paragraph. Then, explain the effects of the things identified. The paper needs to have a concluding paragraph. Identify the meaning of the principal terms of the paper. One of them is the concept of the “cause.” The other is the meaning of the word, “effect.” To understand the reasons for an occurrence, answer the question, “Why did this happen?” To identify the effect, answer the question, “What was the consequence of the thing?” In some occasions, several causes will result in one effect. In other circumstances, several effects will emerge because of a single factor. Therefore, you need to know of this fact, while writing your paper. Consider a clear thesis statement. Introduce the main idea using the primary terms of the essay. Organize your claims in paragraphs. Each idea should have its section. Moreover, prove what you are discussing, by providing a reference. Still, use topic sentences while writing the pape Your reader will know what your paragraph is all about through these sentences. Use transiting Using these words will make your essay easy to read and flow. Use these phrases when introducing a new idea, or moving to the next paragraph. How to Start a Cause and Effect Essay for Your College Assignment? It will give you an opportunity to develop your thoughts. This will enable you to write many points for your research. It will allow you to clarify the main points of your essay and to connect them. An outline will prevent you from getting stuck when crafting your paper. An outline will enable you to see the overall picture of your writing. The next section is to choose an appropriate structure for your paper. You can decide on a block or chain structured paper. Choose one that works best for you. Still, based on the instructions, you can choose a structure where one cause has many effects. Alternatively, write a paper that contains an equal amount of reasons and results. Topic Sentence: Explain the idea that you want to explore. Ensure that you write it in the first sentence of the introductory paragraph. Thesis Statement: Write your primary argument in the last sentence of the introduction. It will guide your readers on what to expect in your text. Ensure that you restate the thesis statement at the concluding paragraph. After introducing the topic of the writing, develop the argument. They should form the body of the text. Do not write many points, but let your outline guide you. Pick three excellent points, and use evidence to back them up. These points should have their paragraphs. You can decide to identify a cause, explain it in one section. The next part should contain its effects. However, this will depend on the structure you choose for your essay. What of a Good Cause and Effect Essay Conclusion? Develop a proper conclusion for your essay. Let it be memorable for your reader. Ensure that you restate your thesis in the conclusory paragraph. Also, summarize the main points found in your text. Do not introduce new ideas in this last paragraph. The reader should identify the causes of the event discussed. Also, they should make a connection to their effects. Still, this section should contain 10% of the total word count. Well, now you know how to plan and write the essay. Nonetheless, you may have challenges producing them because of time constraints or any other difficulties. When in such a situation, you can seek expert help. 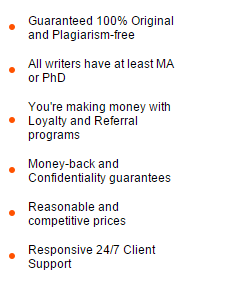 Our essay writing company have the capability of producing papers within the required time. Thus, you will not need to worry about late submission of your work. Our experts can handle any task in a short time. Order now to get nothing but the best!